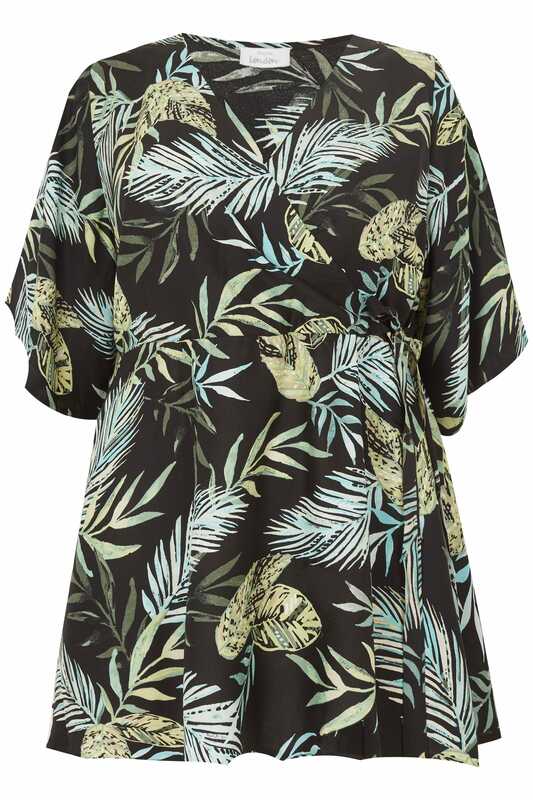 Add a splash of colour into your day-to-evening wardrobe with this chic blouse from Yours London. 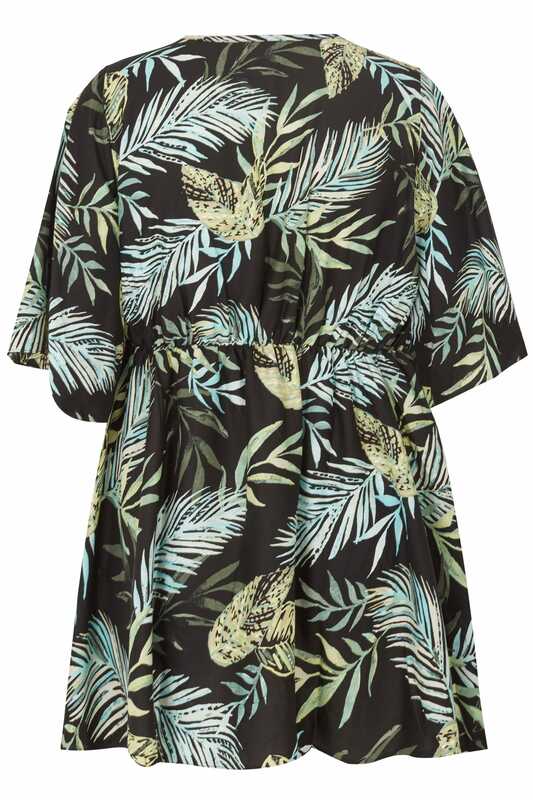 Crafted from a lightweight fabric in a wrap front design, it features a tie waist and floaty kimono sleeves. Style with a pair of tailored trousers for a smart office look or dress down with skinny denim and flats. 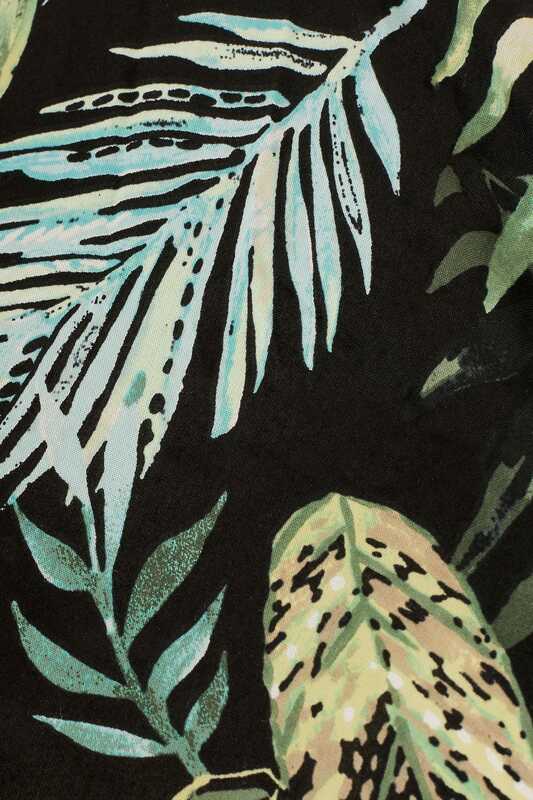 Perfect for the season ahead, we are loving its tropical palm leaf print.